Python is an insanely simple programming language to learn, mimic real-life situations and develop high level applications in an elegant manner; it is a language loved by Google too. If you have a passion for programming, this tutorial is a springboard for reaching the ultimate goal, even if you are a complete beginner. If you are a seasoned programmer from another background, this is ideal for a new start. First of all, here is the link to download the latest Python for a Windows PC: once installed, choose Python IDLE - Integrated DeveLopment Environment or Integrated Development and Learning Environment - from the programmes list. then, follow the instructions in the following animation to write your first piece of code and make it work. Please remember the code you see here will not be part of it! This is also called, interactive mode, because you can write Python commands here, run them by pressing the Enter key and see them at work on the same screen. For instance, in the above animation, I showed how to add, multiply and find the absolute value of a number by using Python commands. Python commands are written next to the primary prompt - >>>. The result is immediately shown just below the primary prompt. The first part of this tutorial is going to be in the interactive mode - the easier phase. It's time to practise interactively; here is the console! You may experiment with the code samples on this page - or your own - on the console and see the results straightaway. If the screen gets clogged up, please typeclear and hit Enter on the keyboard. It'll clear up the screen. Variables - the containers in memory! In addition, there are a few other types: bool - e.g. true/false, Boolean. In real life, if a sieve is a container, it cannot hold water, but it can hold ice. 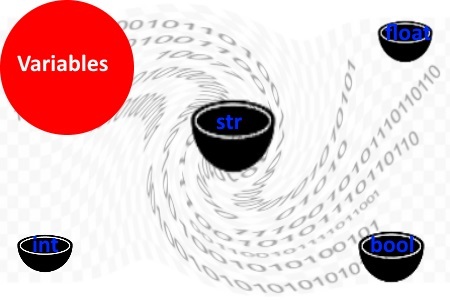 Exactly in the same way, an integer type cannot hold a string or vice versa. In short, the variable type does matter, when it comes to storing data. As you can see, by knowing the exact data type, you can choose the right variable to store and manipulate it inside a programme. Note: the words followed by # is treated as a comment by Python; so, that part is not executed. In short, = does not behave as the equal sign of an equation, that could lead to a bizarre outcome: a=a+6 => 0=6! The same can be performed with multiplication - * - and division - / - too. In Python, strings can be manipulated to produce the desired outcomes. It is known as string concatenation. In the above example, two words are assigned to the variables, a, and b. When the two variables are added, the string is concatenated to produce the combined phrase we want. A procedure is something that the main programme can call many times to execute a certain task; it does not return a value. The following programme uses a procedure, printNumber() to print numbers from 1 - 10, when the main programme calls it. time.sleep(1) # print with a time gap of 1 second. N.B. The procedure must precede the main programme; otherwise, it will throw an error. You may swap the positions around and try it! 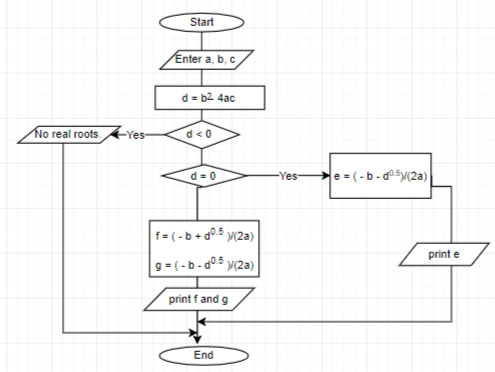 In the above function, the def keyword defines the function and a and b are the parameters. The function returns the average of the two parameters, when entered into it, once it is being called; please note the indentation of the code, as it is really important in Python. You may change the two parameters to see the function at work. The parameter, a, in the function accepts a number - the seed - and then print the number, increases it by 1 and stops working when the condition of the while is met. In the first function, range(4) works from 0 to 3. In the second function, range(2,8) works from 2 to 7. The above function shows how if loop works; please note how python check the equality with two equal signs. 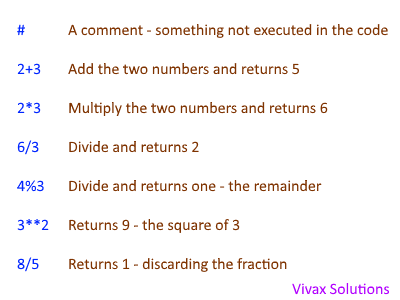 With the following code, you can find all the factors of any given number. With the following function that takes one parameter, you can find whether a given number is a prime number or not. return "It's not a prime number." return "It's a prime number." It's not a prime number. 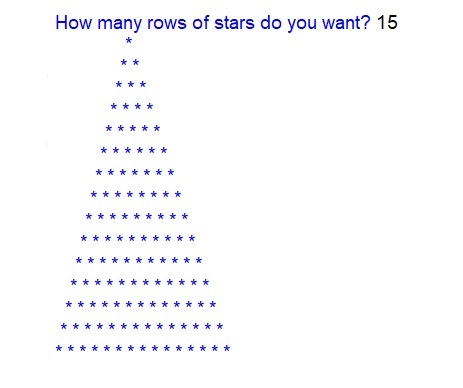 The following programme prints a triangle of stars, given the number of rows in a function. This is a fairly advanced function that checks whether the user input is odd or even with the aid of if loop. In this case, we have to import a famous Python module called, turtle, which has been especially created for graphics. In order to use the relevant functions, we have to make a reference to the library with the keyword, import, in the code. The following animation shows how to create a function to generate the famous Fibonacci Sequence in Python. The parameter, f, entered by the user, determines the size of the series. The above programme draws polygons, starting from a triangle to a decagon, using Python Turtle. This is a great book to expand your knowledge in Python: once you learn and master the basic concepts from this tutorial, this book will help you to broaden the understanding while practising more code challenges. The following function takes the input of a denary number from a user and gives the output in binary form. The following programme checks whether a password contains lowercase, uppercase and numerals. The programme checks whether the pass password contains at least 8 characters, one uppercase letter and one lowercase letter. Please change the password variable and check it interactively. A palindrome is a word, a number, a phrase or even a set of characters that reads the same, both forward and backward. This is a simple Python programme that tests whether a simple word is a palindrome or not. You can experiment with it by writing your own words. The length of the string, the word, is taken. Using the for-loop, the string is reversed and stored in a new variable. Checking whether the two variables are the same. ASCII code, known as the American Standard Code for Information Interchange, plays a great role in coding. The letters of your keyboard, for instance, have an equivalent number in ASCII code. The ASCII code for the letters, A to Z, range from 65 to 91. When you press, say, A, on the keyboard, a series of binary digits - 1000001 - are generated as electric pulses that go through the circuit of the keyboard to the processor. In python, chr(ascii-number) shows the letter on the screen. On the other hand, ord("letter") shows the ASCII code. In addition, letter.isalpha() can be used to check whether a character is a string is a letter in the alphabet. The Caesar Cipher is one of the oldest cipher algorithms, if not the oldest, known to us. It was the way Julius Caesar, the Roman Emperor, used to communicate with his subordinates while keeping the secrecy intact over 2000 years ago. This is a simple, fairly straight-forward cipher; therefore, it never lost its potential to inspire millions of programmers across the world in the digital age. According to the Caesar Cipher, each letter of a sentence is shifted by a certain number, known as the key, to the left or right; this is known as encrypting. If the key is known to the recipient, the change can be reversed and the message can be read easily; this is called, decrypting. The following function can be used to encrypt a string using the Caesar Cipher. Please note that it's very simplistic - for the audience intended. It just encrypts a simple string that contains the letter of the alphabet and take two parameters - the string to be encrypted and the shift as an integer. Please make sure the sting only contains letters in the lowercase. The data in the list can be referred to by the index of each element: for instance, Cars='Volvo' and Integers=12. Since list is a flexible data type, there are a few other ways to refer to the elements too. The animation shows most of them. Tuples are sequences that cannot be updated or changed; the lists, however, can be changed. In addition, the tuples use parenthesis, whereas lists use square brackets. The data in the tuple can be referred to by the index of each element: for instance, Subjects='physics' and Subjects='English'. This is an algorithm that arranges a list in ascending order, by comparing each element from the beginning with its adjacent element, until the list is sorted. It's very time consuming and becomes very inefficient, if the list has been almost sorted before being subjected to bubble sort. Euclid's Algorithm is one of the oldest algorithms known to mankind. It was found in Euclid's Elements, something dates back to 300 B.C. When Euclid came up with the algorithm, mathematics was not known as it is today; in fact, he used geometrical methods in his discovery, as algebra was not known at that time, as a branch of mathematics. Euclid's algorithm is used to find the HCF - Highest Common Factor - or GCD - Greatest Common Divider - of two numbers. 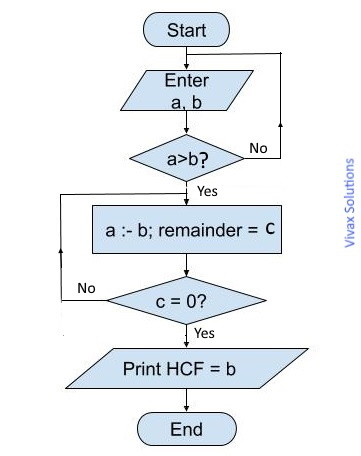 The following programme shows how it determines the HCF of two numbers; you can practise it interactively. You can easily write contents to a text file with Python and read from it, with the aid of a few commands. #Open the file object, f, for writing. f=open('C:\\Users\\computer name\\Documents\\my-text-file.txt','w')#Computer name is the name of the computer that you use. The above code write the two verses of the famous nursery rhyme to my-text-file.txt file. The open method takes two arguments: the file name, along with location and the mode, w, to show write mode. In this case, the file is written in Documents folder. After running the command, you will see the file inside the Documents folder on a Windows computer. Please make sure you close the file after writing the contents. If you want to add contents to the existing file, it is done as follows; the mode now changes from, w, to a. #Open the file object, f, for appending. f=open('C:\\Users\\computer name\\Documents\\my-text-file.txt','a')#Computer name is the name of the computer that you use. Now, if you check the file in the Documents folder, you will see the entire contents. There are a few ways to read contents from a file, with their own advantages and disadvantages. I am discussing here one way that can easily adopt in any specific requirement. #Read the contents line by line and then print without a line break, but without blank lines. There are hundreds of tutorials on the subject of the OOP - Object Oriented Programming; so are the numerous challenges that pose to many of the novices.Since they all begin with a strong emphasis on the technically-heavy features of the OOP, the approach may do more harm than good for a beginner, even if the motive of the author of the tutorials in question is to present it as the best as he or she can. In this context, this tutorial is going to follow a different path, way away from the well text-muted-beaten path. A Python Turtle programme is designed to draw polygons: it needs the name of the polygon, ranging from triangle to decagon, the number of sides and the colour for drawing. In addition, it can print the size of the external angle, internal angles and the name of the polygon, when a user needs them. A Python Turtle programme, Polygon_Maker is designed to Draw_Polygon polygons : it needs the name of the polygon, ranging from triangle to decagon, the number of sides and the colour for drawing. In addition, it can print the size of an internal angle, external angle and the name, when a user needs them. The nouns are objects - Polygon_Maker. The main elements are the objects. The methods and attributes are just parts of them. In order to model real-life objects - in this case, polygons - in OOP, we create a blueprint, which is known as a class. We can create polygons from this class such as triangles, squares etc. This process is knows in OOP as instantiation - making instances of objects. Note, __init__(self) method; it is the first method to be initialized when an object is created. It's called a constructor. self parameter is for referring to the class, when there is a need for it. You can create any amount of polygons. Now it's time to really practise Object Orient Programming interactively here; congratulations! you made it!! 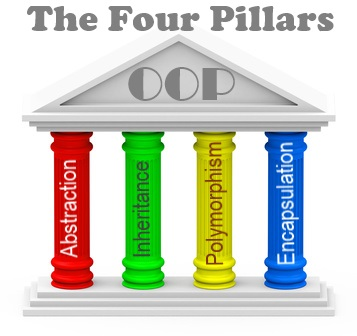 Assuming that you understood the Object Oriented Programming well text-muted, now it's time to explore the four pillars in detail - and in a meaningful way - that the OOP is built upon. They were chosen to be at the end of the tutorial on purpose, without frightening a novice. The process of modelling an Polygon_Maker in programming as a class, while assigning fields, properties and methods to it, is called Abstraction in the OOP. Thanks to abstraction, when objects are created from a class, the users will not know how objects work, as the internal working of objects remains opaque. E.g. When you listen to a song on your stereo system, you don't know what's going on inside the speaker; you just get its functionality. This is abstraction. It's the same when you use your ignition key to start the car; most of us do not know what is going on inside the engine. In short, abstraction conceals the inside details and working from you. The information of parameters in the methods is not visible to those who create objects from the class. This is called, encapsulation in OOP - confining data inside a capsule. It's almost like the abstraction with very little distinction. They, however, are different. As you can see, Draw_Polygon() function behaves in different ways despite having the same name, depending on the parameter - or lack of it. This is polymorphism in OOP. This is the process of a child class inheriting a parent class. The following example shows how it is done: the Rectangle_Maker is the child class and the Polygon_Maker is the parent class. You will see the child class inheriting __init__() method of the parent class. You can see that the child class inherits no of sides, colour and name from the parent class.